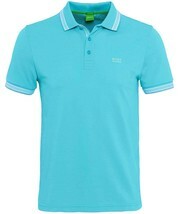 The evergreen at the collar and sleeve ends obtains a dynamic striped upgrade, thanks to this BOSS Green polo shirt. 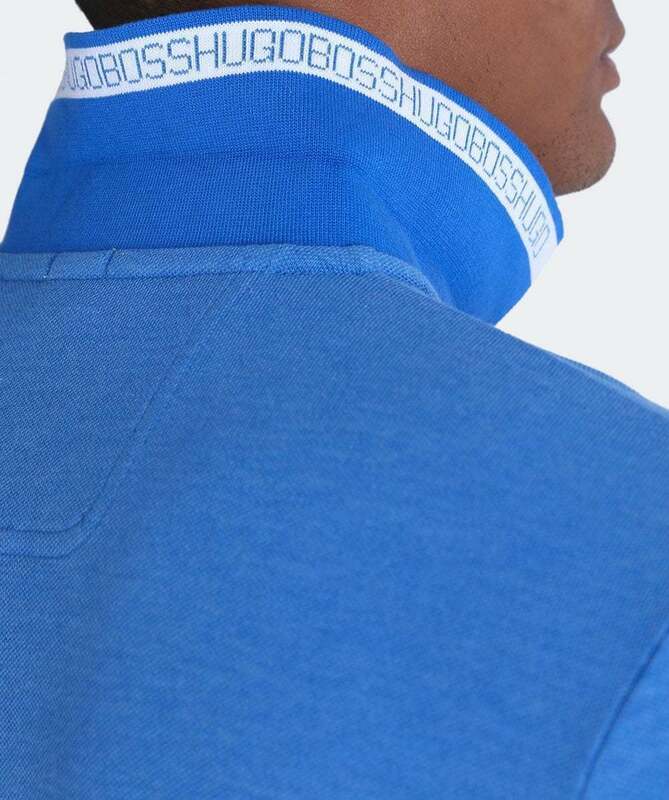 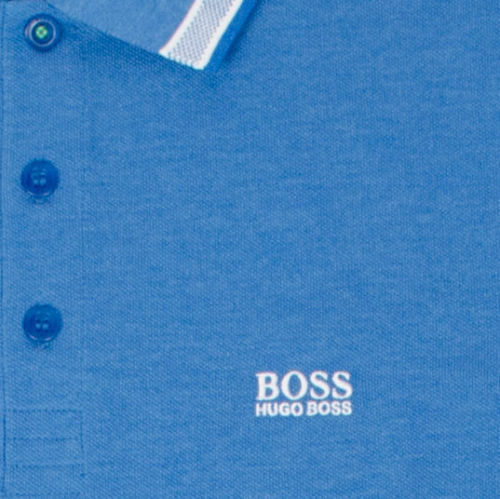 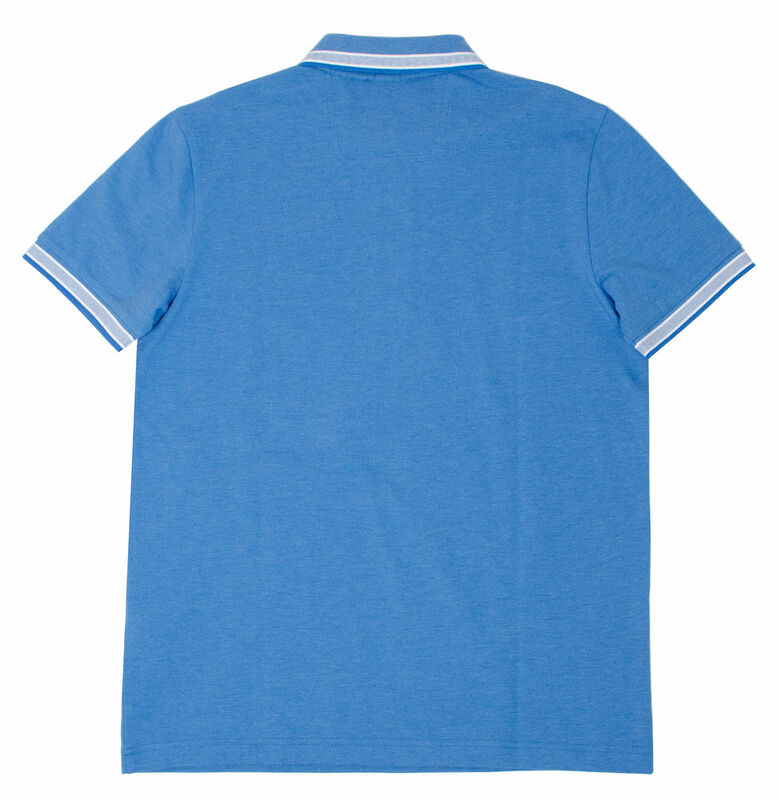 It has contrasting-colour stitching around a buttonhole and an embroidered logo on the chest, which is typical of the brand. 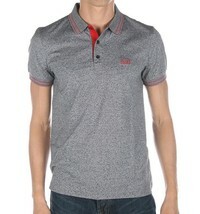 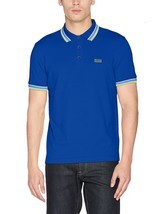 The polo shirt looks equally dynamic whether paired with shorts, chinos or denims.